The following form can submitted to Rabbi Gancz online no later than Sunday, March 29, 2018. I fully empower and permit Rabbi Yoel Gancz to act in my place and stead and on my behalf to sell all chametz possessed by me, knowingly or unknowingly as defined by the Torah and Rabbinic Law (e.g. chametz, possible chametz, and all kind of chametz mixtures). This power is in conformity with all Torah, Rabbinic and Civil laws. It is customary to make a contribution along with your sale of Chametz. 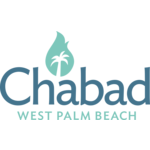 Please consider supporting the work of Chabad at West Palm Beach.